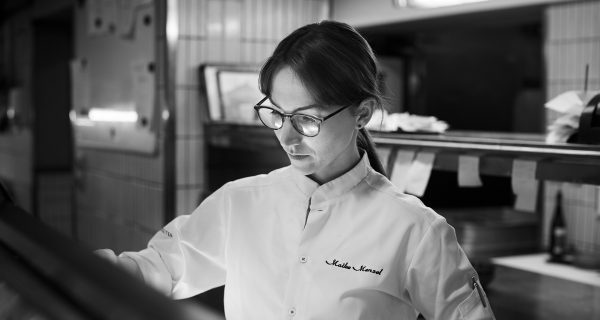 Maike Menzel, head chef at the Schwarzreiter Restaurant since mid-July 2018, developed a passion for cooking when she was a little girl, as she was able to learn the tricks of the trade by looking over her grandfather’s shoulder in Grandpa’s kitchen as a child. The idea of becoming a chef soon came to her. Maike Menzel lives in Munich, and before she joined the Schwarzreiter, she cooked at Emiko and Pageou in her favourite city. You are looked after by our Service Team, who will always be able to advise you of the best wines to go with your chosen dishes from the comprehensive list of over 480 excellent wines.